Barrelhouse’s Conversations & Connections April 2015 conference at JHU’s International Studies school on Embassy Row. 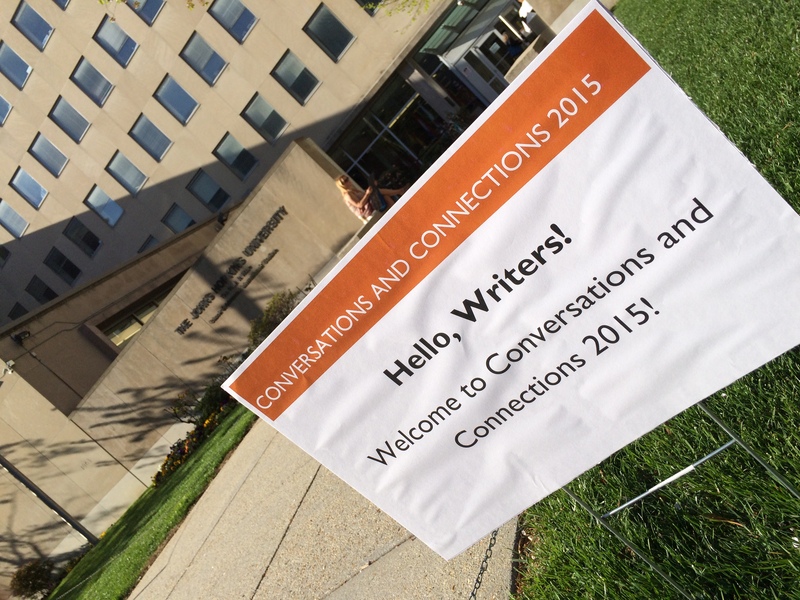 I attended the April 2015 Conversations & Connections: Practical Advice on Writing in Washington, D.C. It was a one-day conference organized by D.C.-based lit mag Barrelhouse. They have these C&C conferences twice a year and rotate locations. I’m not sure how they pull these off because I feel like I received more from them than I what paid for. The reg fee was only $70. In return, I got a book, a year’s subscription to one of the participating lit mags, access to editors, and honest-to-God one-on-one time with editors (first time was free, each additional time was $5). Attendance was capped at 125. Attendees were from a wide age range. Many of us were either flying solo or there with one acquaintance. Speed dating an editor was awesome. They were just as nervous as I was! I attended a craft lecture, an editors’ panel, and an advice panel on the art of the hustle. All were valuable uses of my time. Bonus! I learned about a hilarious podcast two Barrelhouse editors put out every Monday. Book Fight! I highly recommend it. Good times! JHU’s International Studies building on Embassy Row features photos of world leaders who have spoken to students. 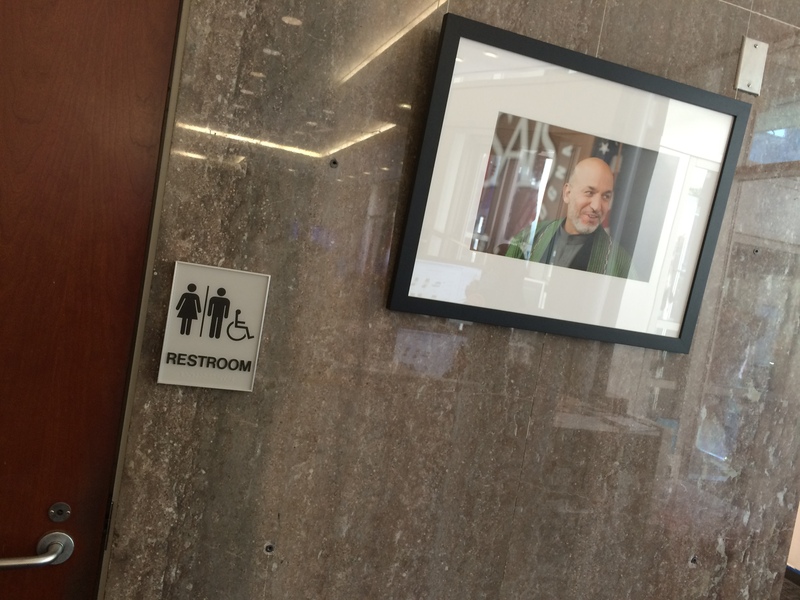 Hamid Karzai’s prestigious photo…located next to the potty.